New Zealand vintners are starting to release unique wines from regions other than Marlborough (Misha Vineyards in Central Otago pictured). 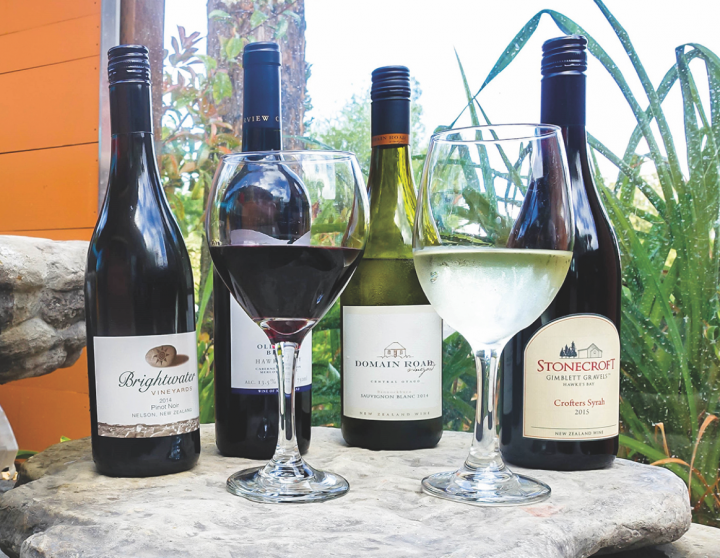 With more than 40 New Zealand entries on its wine list, Aroha Restaurant in West Lake Village, California, has been at the forefront of educating its customers on the diversity of New Zealand wines. “Sauvignon Blancs have always done very well, but in recent years New Zealand has been coming out with some really unique wines,” says Aroha head chef and owner Gwithyen Thomas, whose venue serves upscale New Zealand cuisine. While the country’s Pinot Noirs have garnered attention, Thomas notes that even lesser-known varietals like Seifried Estate Winery’s 2014 Zweigelt ($12 a glass; $36 a 750-ml.) and 2014 Würzer ($14; $42) from the Nelson region are a hit with customers. “The market is saying it wants unique varietals that have not been traditionally associated with New Zealand,” he says. Aroha offers only New Zealand wines by the glass, in addition to a broader selection of local and international wines by the bottle. “For a restaurant in California with an emphasis on New Zealand, I don’t really have to push those wines. I sell them more than anything else,” Thomas says. The restaurant features nine Pinot Noirs by the bottle from different growing regions in New Zealand, like the 2013 Forrest Estate from Marlborough ($14 a glass; $42 a 750-ml. ), the 2006 Shaky Bridge Pioneer from Central Otago ($18; $54) and the 2014 Brightwater from Nelson ($19; $57). “With these wines you can taste the vastly different characteristics of each region,” Thomas adds. Aroha Restaurant offers over 40 wines from New Zealand (selections above). Virtually unknown in the United States two decades ago, wines from New Zealand have since become synonymous with Sauvignon Blanc and the Marlborough region. But as consumers become more familiar with the country’s quality and value, they’re increasingly eager to explore what the rest of the two islands have to offer. “We’re raising awareness, but it’s a gradual process,” Feore says. Last year, New Zealand ranked as the sixth-largest imported table wine category, excluding bulk, in the United States, according to Impact Databank, but it remains far behind other top import players like Italy and Chile. With 14-percent volume growth in 2016 following years of impressive gains, New Zealand appears primed to compete with some of the more established countries. In 1997, New Zealand’s total table wine imports to the United States stood at less than 75,000 nine-liter cases, but between 2000 and 2005 imports grew nearly fivefold, according to Impact Databank. Since 2010, New Zealand imports in the United States increased by 82 percent, reaching 4.7 million cases after gaining nearly 527,000 cases last year alone. That momentum shows no sign of slowing, as nearly all of the leading New Zealand brands posted consistent double-digit gains. New Zealand is a relatively small country whose unique geography offers dramatic variations in climatic conditions and soil. Comprised of the North Island and South Island, New Zealand features 10 distinctive cool-climate winegrowing regions spanning 1,000 miles, predominantly along the country’s eastern coastlines. In July, New Zealand’s Geographic Indications bill for its native wine and spirits went into effect, and 18 regions have submitted applications for official registration. Virtually unknown in the United States two decades ago, wines from New Zealand have since become synonymous with Sauvignon Blanc and the Marlborough region. Marlborough, which is located on the South Island, is New Zealand’s largest designated wine-growing region, with about two-thirds of the country’s planted vines. 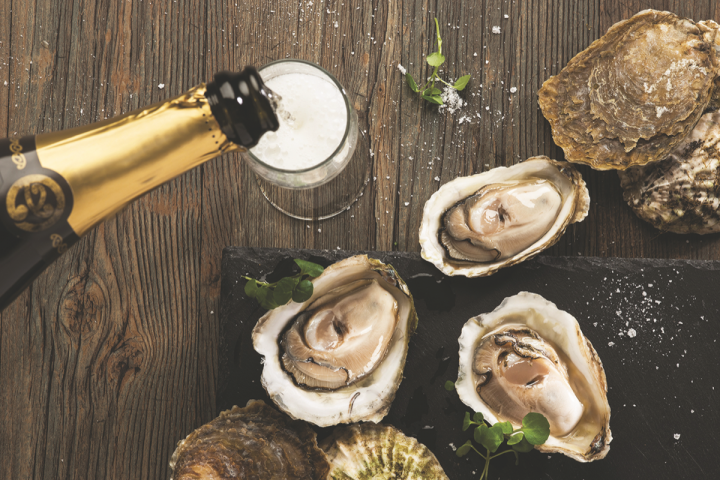 It rose to prominence on the world stage for Sauvignon Blanc beginning in the 1980s. Marlborough is divided between the newer subregions of Southern Valleys, Wairau Valley and Awatere Valley, each with varying soil and microclimates. 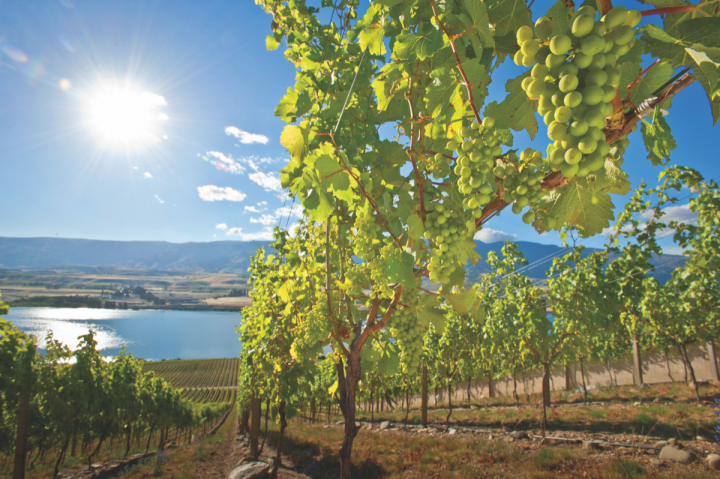 Sauvignon Blanc is the region’s most extensively planted varietal, with Pinot Noir, Chardonnay, and aromatics like Pinot Gris, Gewürztraminer, Riesling and Viognier also planted to a lesser extent. Craggy Range Winery (above) is currently building up its Pinot Noir presence in the U.S. market. Outside the larger winegrowing regions, there’s increasing enthusiasm for lesser-known areas. “Regions like Clevedon, south of Auckland, and Waiheke Island are making some amazing Bordeaux blends,” says Feore of The Musket Room. Stonyridge Vineyard on Waiheke Island is a popular option on the restaurant’s wine list, which features its 2014 Pilgrim Syrah/Mourvèdre ($175 a 750-ml.). While Feore admits Chardonnay is a crowded category, New Zealand Chardonnays are a rising segment, with standouts like the 2015 Neudorf Rosie’s Block Chardonnay ($75). Craggy Range winemaker Matt Stafford produces a popular Syrah out of the company's Gimblett Gravels vineyard in Hawke's Bay. Amid a growing interest in organic and biodynamic wines, Feore sees New Zealand wines fitting well with the trend. As a country with little pollution and inherently green practices, most winemakers employ organic growing techniques. 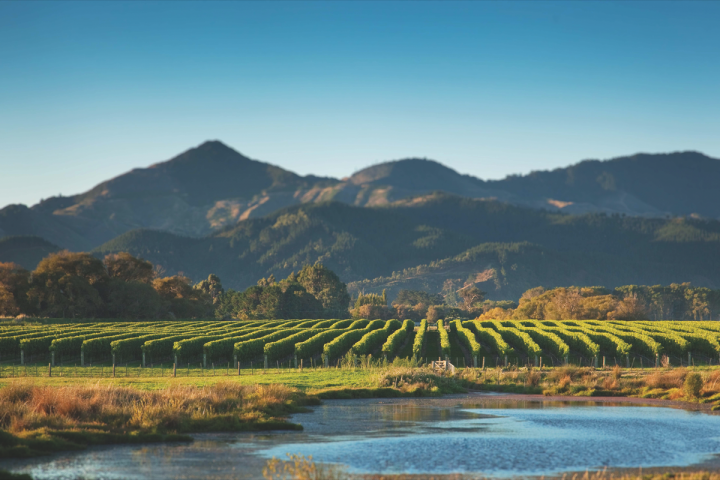 Milton Vineyard in Gisborne was the first producer in New Zealand to gain organic certification in 1989. “Almost everything is sustainably practiced and organic, whether it’s certified or not. That’s just they way they do it,” Feore explains. Even amid growing interest in less familiar labels, Sauvignon Blanc and Pinot Noir remain the center of attention for New Zealand. The country’s total wine production this year was dominated by Sauvignon Blanc with a 76-percent share of white varietals, while Chardonnay was second at 11 percent, according to the New Zealand Winegrowers. Pinot Noir led red varietal production with a 72-percent share, while Merlot followed at 15 percent. 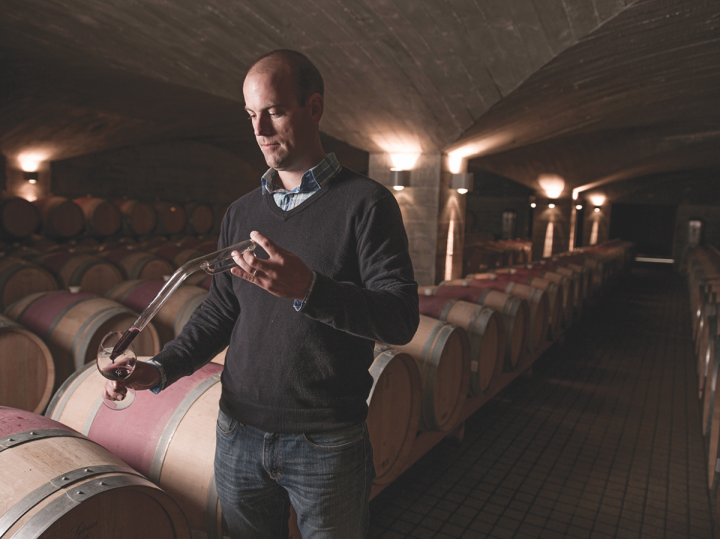 "Winemakers are starting to focus on traditional styles, but done differently." Constellation is watching the trend toward premiumization of white wines for its Kim Crawford and Nobilo brands. In 2016, Nobilo grew by nearly 10 percent in the U.S. market to 615,000 cases, according to Impact Databank. Its popular Sauvignon Blanc and Pinot Noir are produced across four vineyards located predominantly along the coasts in Marlborough, Gisborne, Hawke’s Bay and Central Otago. For now, the company says the concentration for Nobilo is growing its existing portfolio. Craggy Range is also focusing on building its Pinot Noir in the United States, especially in on-premise channels. Looking ahead, Stafford is making sure there’s enough supply for the winery’s most popular wines as awareness grows. “The demand for Sauvignon Blanc is not showing any signs of slowing yet, so we’re looking to extend our plantings,” he says. 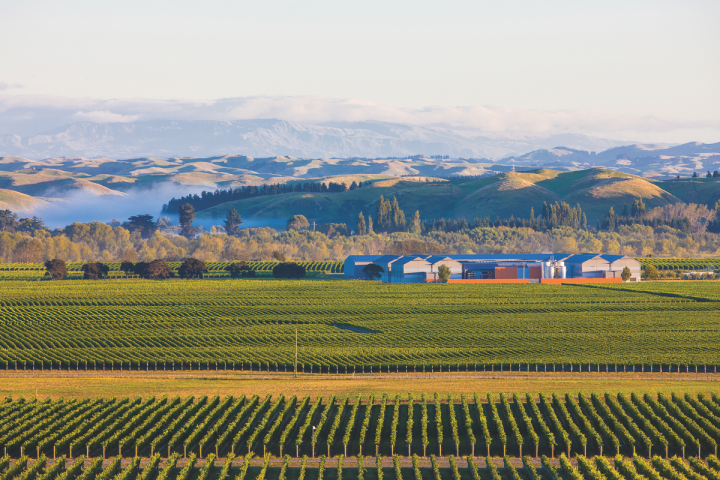 As New Zealand wine’s largest export market, the United States is playing a major role in achieving the country’s export target of $2 billion by 2020. But in addition to building awareness and education, New Zealand wine producers must also compete against a strong domestic wine market in the United States. Craggy Range’s Stafford says the increasing maturity of styles is starting to come through in its wines, which helps distinguish New Zealand from domestic wines. “Our Marlborough Pinot Noirs are still being discovered, but against the richness of commercial California Pinot Noir the classical feel of our wines has been a little overshadowed,” he says.